By the very nature of this site you must appreciate that many items displayed are one-offs or are only available in small numbers. We currently mark all items as SOLD as soon as it comes to our attention that a cover is sold out. However two or more customers might wish to purchase an item for which only one copy is in stock - if this happens overnight, or before we realise that the item needs marking as SOLD, we will supply the customer whose order was received first. Similarly if someone orders two or more of an item, and there is insufficient in stock, then we will supply what we have. It is not possible to scan every cover - we may have three or four covers which all look the same, but have different postmarks. These are listed separately - some of these may have written or typed addresses, others may be unaddressed. If you do not want the cover ordered, simply return promptly and we will arrange for a refund or credit. In all cases where a refund of monies is due, we will make a prompt refund. Another reason for not supplying goods as priced would be if we had made a mistake in the price quoted on the website. If it were only a small amount we would let the item go for the price quoted. However, if there was a large discrepancy between the quoted price and the correct price, then we reserve the right not to supply the cover and arrange for you to receive a refund. NB Once you complete your payment at WorldPay/PayPal your card will be debited. You will receive an acknowledgement from BFDC Ltd with details of the items ordered. 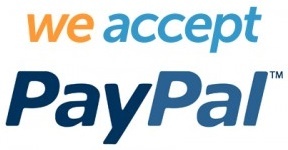 In addition you should receive an email from WorldPay/PayPal indicating that your card has been charged with the amount of the order. This procedure is in place irrespective of whether the goods are in stock or whether the order is for a future issue. Please note that none of our covers are supplied with inserts. Please note that all items are despatched at customer's own risk by 1st Class Post or by Standard Airmail. If you require insured services, i.e. Signed For / Special Delivery / Airmail Track & Trace - please select the appropriate service when checking out in your shopping basket.